Anne Bruening Originals began in 1989 at a time when life was a bit disheveled. Raising 2 small children as a single mom I wanted something I could do at home so that I would not have to be away from my children several hours out of a day. At that time in my life my “hobbies” were sewing, crochet, vegetable gardening and canning and freezing, cross-stitch…you name it….if it was something I could make with my hands I would try it. I loved being able to create anything home-made for my family and friends. The question was……..what could I craft with my hands that would actually make money to help support my family? Becoming the “Dried Flower Queen” as I refer to myself around this area was really a fluke! But I’ve no doubt that God had His hand in guiding me through this new endeavor back in 1989. Honestly? It began as a walk in the field next to my home and picking some interesting “weeds” that I liked. When I arrived back home I threw them in a container and really didn’t think about them again for several months. When I looked at them months later I was amazed at how good the “weeds” still looked when nothing had been done to preserve them. That was the beginning……..
o produce products of exceptional value. Even more intriguing to me has been discovering the many flowers that can be dried and saved. There are flowers you wouldn’t think to grow and dry but I have had the chance to experiment with many varieties. For 18 years people from all over have brought flowers to me from weddings, funerals, proms, anniversaries etc. I figured it wouldn’t hurt to try to save all the flowers given to me. If it didn’t work, it didn’t work……….all my clients understood that. Each year the process is more fine-tuned than the year before and we have all been thrilled with the results of the floral preservation end of Anne Bruening Originals. It is a great pleasure for me to serve my customers in this very personal way. 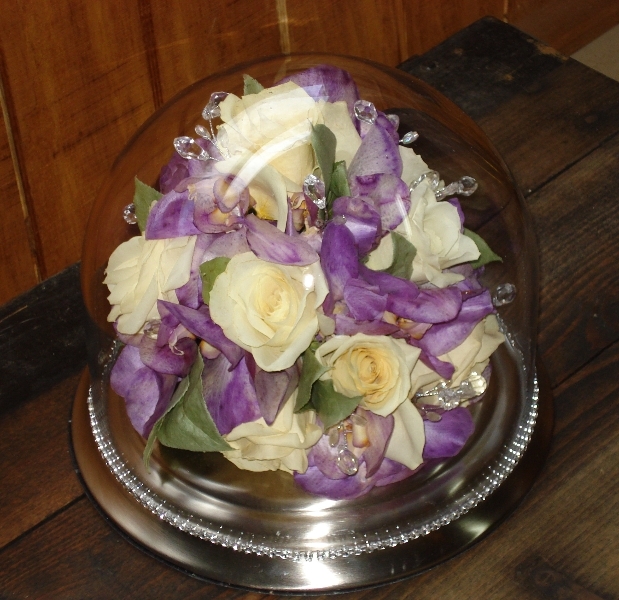 Your special event is important to me and you will receive the utmost care in the preservation of your flowers and the creation of your keepsake. Call if you have any questions. I am always happy to talk with you. And remember…if it’s not an Anne Bruening Original, it’s just a nice arrangement.